An up and coming act from Northern New Jersey, Dead City Crown play with a distinctively European approach to their material. 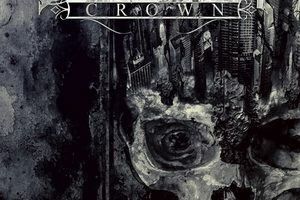 While most Stateside bands take the melodic death metal approach and either sprinkle it with American brutality or water it down into metalcore, Dead City Crown strikes a nerve with their particular sound. It’s genuine to the genre, yet it doesn’t feel like the 5,000th retread to come this way. Their latest EP, Apex of Fury, embodies their approach and should serve to get them some more attention. While it’s only three songs, it’s enough to leave a lasting impact. With that said, we reached out to the band to hear their thoughts on a variety of topics, from the band’s early days to the future, as well as their thoughts on melodic death metal. Dead Rhetoric: What can you say about the early days of the band? What have you learned through your music so far? 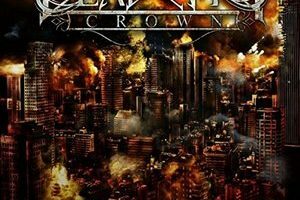 Dead City Crown: DCC was born in 2014 from the remains of a former band called “Ashes of Amber” featuring, Carl on vox, Fabio on guitars and former bassist Erick. We used a laptop as our drummer for both rehearsals and live gigs. This lasted for about a year and two gigs later until we deemed it necessary to fill the empty roles with permanent members. Our music has taught us that there is indeed an audience out there for our style of heavy metal which comes naturally to us; the songwriting is barely ever forced. Our sound has definitely matured over the years and our live performances have of course gotten more entertaining as we feel more and more at home on stage. Dead Rhetoric: Where does the name Dead City Crown stem from? Dead City Crown: With the music composed by Fabio, we wanted the new name to reflect the overall attitude of the group and our sound. Dead City Crown came about after several discussions of what that attitude is and finally landed on “street”. We wanted the name to reflect a “from the streets” kind of attitude and with that came Dead City Crown. The visual concept being that of a king of a dead urban land or apocalyptic future like a; Mad Max kind of vibe. We are fans of post-apocalyptic imagery of landscapes and storytelling so we believe the name perfectly sums up the themes and style of music. Dead Rhetoric: What do you feel that Apex of Fury offers the average metal fan? Dead City Crown: Apex of Fury is a refreshing flavor that we feel stands apart from what other bands are currently putting out both locally and nationally. It’s catchy as well as aggressive, which is what we as metal fans ourselves look for in other acts. It’s important for us to put out music that we would like to hear being played today and thankfully many people so far agree with our preferences. Dead Rhetoric: You’ve done two EPs to date. Is this an easier approach for the band or would you like to attempt a full-length album as the next step? Dead City Crown: We’ve actually put out three. Our first EP Centuries is a physical only release from 2014. Last year we released the Dead City Crown self titled EP featuring two tracks, and now Apex of Fury. Putting out an album is definitely something we will commit to in the future. At the moment, the plan is to consistently release new music. Since we are currently 100% independent, it’s easier from a financial stand point to continue releasing EP’s or singles. However, once we have backing from a label or another means, we will immediately get to work on putting out that long-awaited full length. Dead Rhetoric: In terms of writing, what’s the most important feeling you want to portray in a song? Dead City Crown: Each song does have a different message that is hopefully conveyed successfully lyrically, which is Carl’s duty in the band. But ultimately the most important thing is that the listeners enjoy what they are hearing. Dead Rhetoric: You released a video for “Primordial” last year. Are you planning to record any videos from Apex of Fury? Dead City Crown: There has been some talk about a possible video for one of the songs but currently it’s still TBD. We may even just wait until the next single is recorded and debut a video for that release. 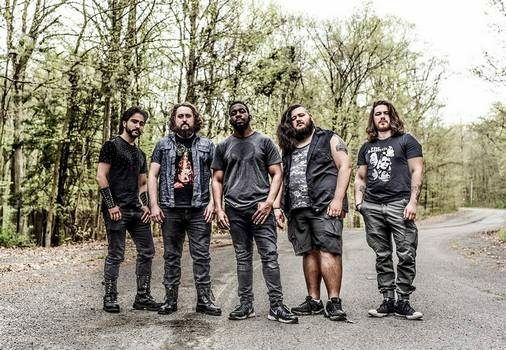 Dead Rhetoric: Melodic death metal isn’t exactly a big draw in the US at this point. What drew you to it as an influence for your sound? Dead City Crown: We wanted to put out a sound that was honest to our collective influences and also not get caught in the usual sound coming from the US. We can’t always wait for In Flames, Soilwork, or Insomnium, etc. to come to the states so we can experience this foreign sound in a live setting. So why not be the band that we want to see more of and that fans of those national acts want to see more often but can’t because a plane ticket to Finland is rather costly ;). We’re all about heavy hitting music but we’re also fans of catchy melodies and huge choruses and it’s a shame many bands shy away from implementing those elements into their songs. We’re never afraid of mixing the two and creating our own spin on the melodic death metal movement. Dead Rhetoric: Who do you feel are the three biggest influences for the band, musically? Dead City Crown: If we’re talking bands, we’d have to say Insomnium for their capability to capture any mood and draw you into their world, In Flames for their immortal stick-to-your-guns attitude, and Sonata Arctica for the wonderful storytelling in all of their songs. Dead Rhetoric: What’s tough in terms of trying to take the music to the next level? Conversely, what do you feel that Dead City Crown has done well in capturing in your music? Dead City Crown: The toughest part really is getting to do this full time. We wish to be able to invest all our time into playing and recording music, however being that we live in a monetary society, we do have bills that can only be paid if we all work full time jobs. That sometimes gets in the way of being able to put out more music and play out more frequently. As far as what we’ve done, well we can say that as an unsigned band we’ve done very well in getting ourselves on bills with national acts just by word of mouth and our relationship with promoters, thanks to our professionalism and work ethic. Musically, we’ve always aimed to connect with the listener since the beginning. Whether it’s a lyrical line you can relate to or a riff that pumps you up to take on your day, we as a band want to share that moment with you, the listener, and leave you in a better place than you were a moment ago. Dead Rhetoric: In opening for larger, national acts, what are some of the lessons that you’ve learned from observing them on the stage? Dead City Crown: So one of the coolest things to observe as an “up and coming” band watching a national act is just how human and humble some of these acts can be. Some frontmen are just natural entertainers and take the show to a whole new level while others just wanna rock out with the crowd. As such, the lesson learned is to just be 100% honest when you’re out there and the crowd will be with you no matter what. Dead Rhetoric: What goals do you have for Dead City Crown, either in the near future or if you were to look ahead 5 years? Dead City Crown: As with any other group, entertainer etc we want to be able to do this full time. To “make it” not by becoming millionaires but to be able to have a sustainable living while doing what we love which is play music and giving to the fans something to do any day of the week. Dead Rhetoric: With Apex of Fury out, what plans do you have for the summer and fall? Dead City Crown: We have a mini East coast tour planned for mid-August and depending on how that goes we may plan a second tour if not in the fall then perhaps the spring. We have new music prepared and will be ready to enter the studio after the tour to begin the recording process again for a brand new release late this year.